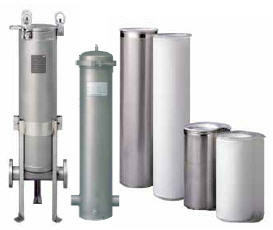 The 3M DF series filter will easily retrofit most existing bag filter housings. To take advantage of the 3M DF series system in applications where bag filter housings are currently in use, simply remove the existing bag support basket, replace it with a 3M DF series support basket, and insert the 3M DF series filter. For new installations, 3M Purification offers a full line of 3M DF series filter housings.